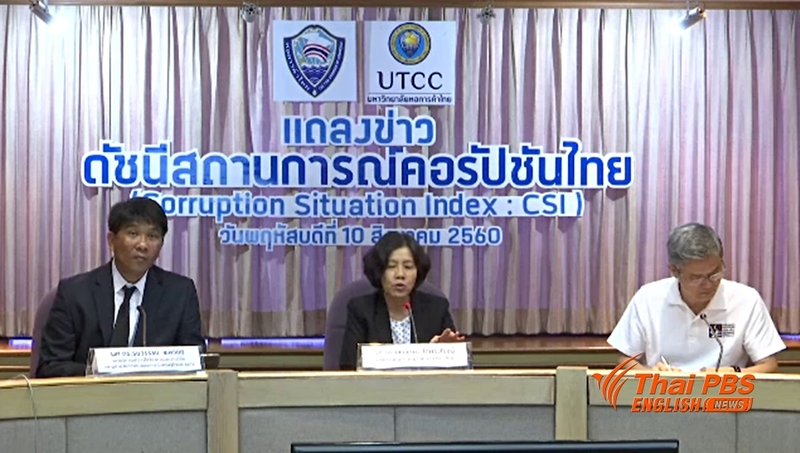 The centre conducted an opinion poll on public perception about corruption situation in Thailand and the findings showed that the situation was perceived to have worsened with the score dropping to 53 out of 100 in June this year from 55 last December and Thailand’s perceived trend of corruption dropped from 57 to 54. Mr Thanawat explained that the decline in corruption index stemmed from public concern over corruption situation in the future which tends to worsen due to the fact that the government is in the process of implementing several mega infrastructure projects and the eastern economic corridor project. However, while less people paid bribes, the amount of bribes increased to between 5-15 percent of the cost of a project instead of 1-15 percent in the previous survey. He estimated the loss from corruption at between 65-196 billion baht or 0.4-1.3 percent of GDP. 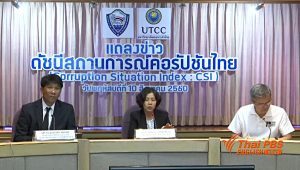 According to Transparency International, Thailand’s corruption perception index ranking has dropped from 76th to 101th out of 176 countries. Mr Thanawat said that the issues about democracy and political situation were also taken into consideration.